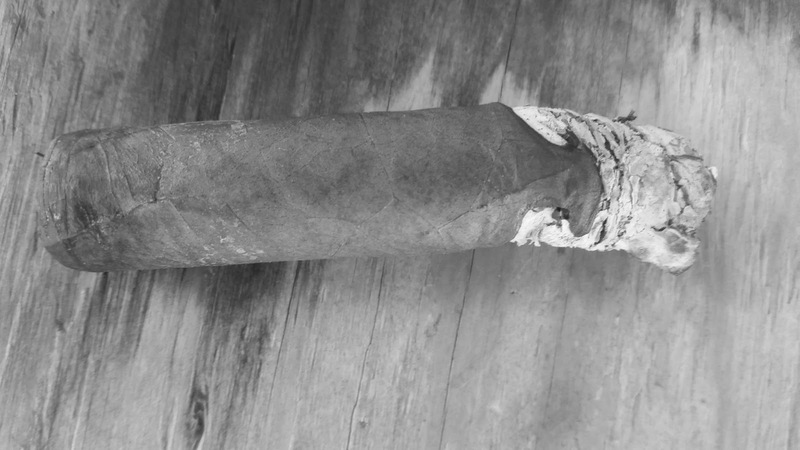 See the other Project X blind cigar reviews HERE. Listen to the LIVE Reveal on this offering on the very next Kibbitz. Check yer local listing HERE for show times. Sweet: Chocolate/cocoa. Honey. Coffee and cream. Sugar. Buttery. Spicy: Cinnamon. Ginger. Cloves. White pepper (draw). Black pepper (r/h). Salt. Woody: Cedar wood. Paper. Oak. Vegetal: Nuts, roasted. Hay, fresh. Floral. Citrus. Herbs. Earthy: Dirt/earth. Dust. Wet cardboard. Very malty cold draw. Rye, honey, chocolate. On the hot draw, only honey retains malt attachment. ... some exotic spices come in after that settles. Pack softened a tick against light. Smoky, verily -- both ends. Took me awhile to place venison (trayf). ... (kinda hampered by chart here). Not milk chocolate. Chocolate milk. Packing softened a tick off re-touch. -- interesting flavors, sub-par combustion. Sweet: Chocolate/cocoa. Honey. Coffee (less) and cream (more). Sugar. Toffee. Spicy: Cinnamon (less). Ginger. White pepper (draw). Black pepper (r/h). Salt. Vegetal: Nuts, raw. Floral. Citrus. Herbs. Earthy: Dirt/earth. Dust. Wet cardboard (more). Must/mildew. Cereal and leather notes come on in. Kickin' the chart's tuchus, this. Top-leaf cracks and feels more delicate. In 3/3 dead even burn as pace slows noticeably. Mouth dries & strangely on a wetter cardboard. Graham cracker? Oy gevalt, the chart! C/C firm up. Looks like I picked the wrong day to quit ______. Flavors delineate. Looks like I picked the wrong day to quit ______. Ash is pretty! Looks like I picked the wrong day to quit ______. Damp spongy nub with lively spring-back? Draw stays excellent and smoke, cool. Burn re-wavers. I feel ya, Mr. Griffin. ... evens back out. Looks like I picked the wrong day to quit ______. 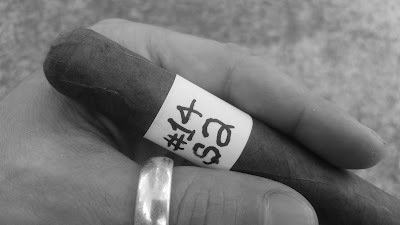 In the interest of uniformity, I will be working from a flavor chart via Stogie Fresh. Interesting stick, this. First retro-hale induced a sneezing fit and plugged nose for a minute or two. Too, kicked the flavor chart's tuchus, insofar as not in alignment. (Many notes are uncharted.) Intriguing flavors that didn't necessarily blend well, ie: chocolate milk and rotisserie seasonings. Structural performance was slightly regretful. 3/3 is all about: Looks like I picked the wrong day to quit ______. Are all nuances and/or complexities good things?